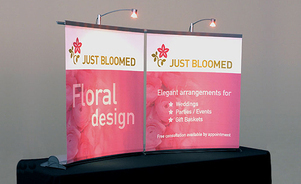 Attract attention in smaller spaces! 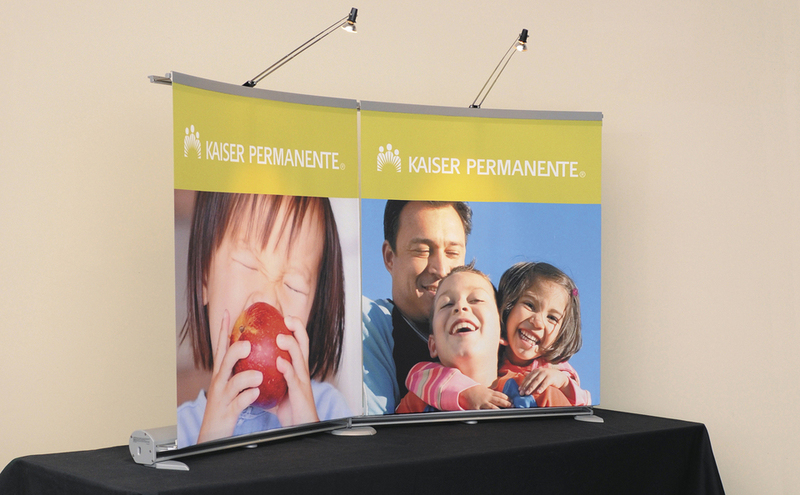 Skyline tabletop displays look great, are light weight, easy to set up and built to last. 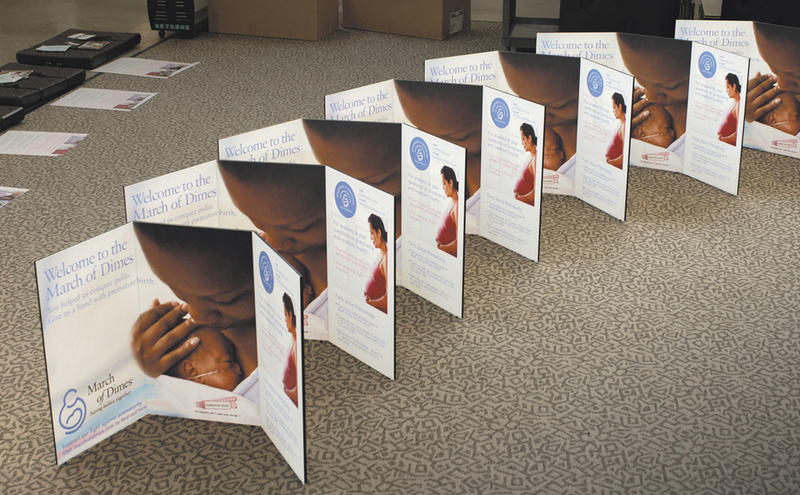 When you’re exhibiting, your display is your image. Don't let wear and tear represent you. Skyline produces the highest quality displays and graphics in the industry so you always look great. Big, bold images comand attention! 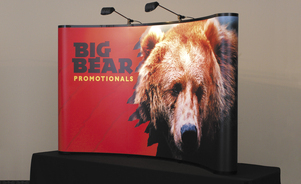 Skyline designers can give your brand a powerful presence while you maintain the convenience of a tabletop. 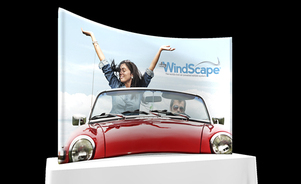 Skyline WindScape® is the world's first air-powered exhibit system! 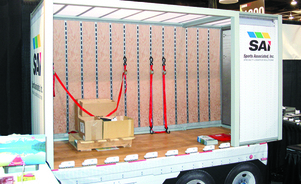 While it displays big, it packs small. 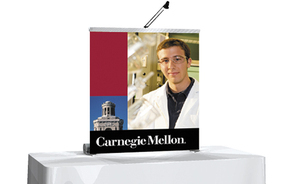 Everything you need for installation – display, inflator and hose – packs in a backpack! Limited space doesn't have to limit creativity. 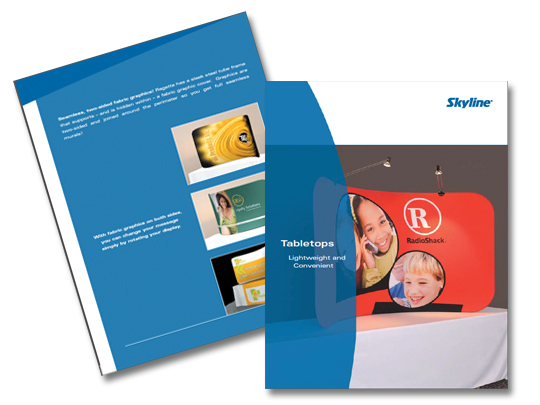 Achieve nearly any look imaginable with Skyline's lightweight modular systems, Skyline fabric graphics and table throws. 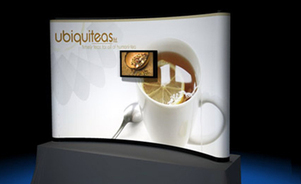 While similar, Tube Ultra has a smaller profile than Skyline Tube System and is perfect for structural inline and smaller island exhibits. Tube Ultra has both square and round components. 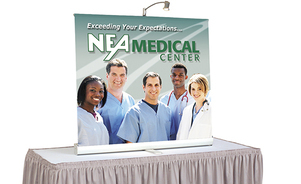 Durable, inflatable tabletop display packs in a backpack, qualifies as a carry-on and goes from pack to 'exhibit ready' in minutes! Keep calm and carry on! 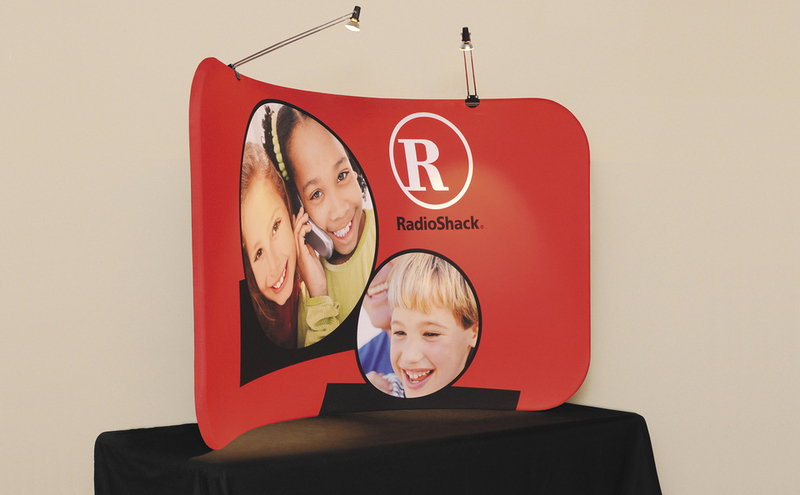 Simple, no-tools needed set-up; Continuous 2-sided graphics; Slip the graphic over the frame light, yet extremely durable frame and zip it up. 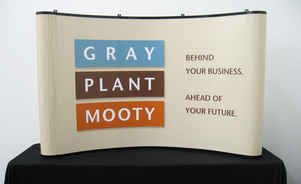 The most durable pop-up frame available! 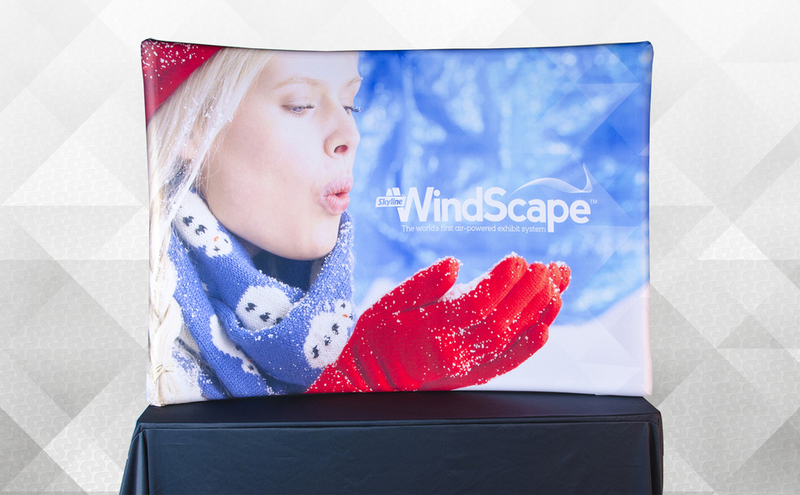 Twice as durable as aluminum frames, Mirage fiberglass and carbon composite frames won’t dent or warp. 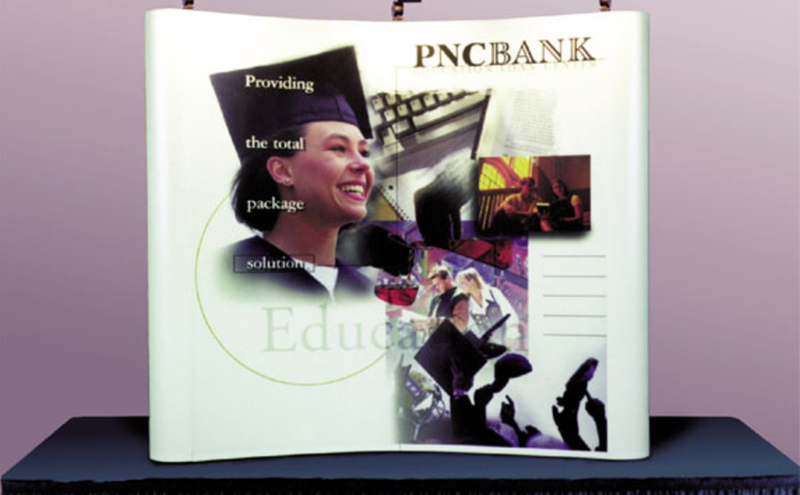 The first retractable banner stand capable of converting from linear to a curved configuration with the simple flip of levers. Graphic panel is easy to change. 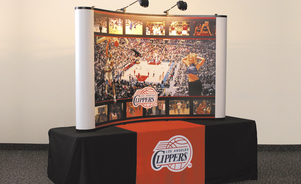 Great for trade shows, events, retail areas, lobbies and more. Its unique exchange system allows you to update or change your graphic to target specific audiences.